Another weekend, another fight-night at the O2 Arena. 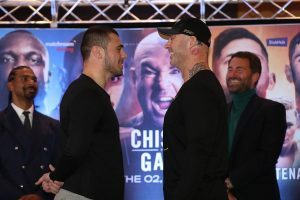 On Saturday night, the ‘White Rhino’, Dave Allen steps into the ring with Lucas ‘Big Daddy’ Browne; whilst Dereck Chisora returns to face Senad Gashi in the co-main event. Browne’s last significant bout was his brutal KO loss to Dillian Whyte in which the Australian looked well out of his depth compared to the man who defeated Ruslan Chagaev in Russia to claim the WBA ‘Regular’ title back in 2016; so depending on which version of Lucas turns up, it’s could be a big step up for fan-favourite, Allen. ‘‘It feels like every boxing fan has taken me in as one of their own. They feel like they’re watching their friend in there.’’ The ‘Rhino’ told a packed-out press-conference. ‘‘I watched the Bracamonte fight back and thought if I carrying on fighting like this I’m not gonna end up in the greatest way. Allen, 16-4-2 (13KOs) reignited his career nine months ago when he knocked out Nick Webb in four rounds, a victory that came just one month after Dave was stopped in the 10th round by Olympic gold medallist Tony Yoka. As mentioned, he’s been training with Darren Barker and the hope is that the Brit will come with a new style from his usual ‘take 2 to land 1’ tactics. Before 2018, Browne was still seen as a lower ranked contender with reasonable power. If he’s able to regain that momentum he had before his failed drugs test, which lost him the minor belt, it could turn into a fight of the month contender. The other heavyweight matchup on Saturday’s card sees Dereck ‘Del Boy’ Chisora up against Kosovan-born German, Senad Gashi. The two were on the same card last December when Chisora was stopped late on by Dillian Whyte. Gashi was also stopped, in the 7th by Carlos Takam. ‘‘Big fights are available. The big 4 at the top don’t wanna fight each other so what can you say? I sit at the bottom of the scrap; I’ll just take them. Both heavyweight fights are setup as gateway matchups to bigger things, and just maybe, a fight with each other. The great grandson of legendary Philly trainer Mitch Allen is Philly’s “No Smilin” Damon Allen, 12-0-1 (5), remained unbeaten on June 30th at Fantasy Springs Casino, Indio, CA, winning a split decision over veteran Gamaliel “El Clatano” Diaz, 40-17-3 (19), of MEX. Allen is trained by his father Damon “Big Dame” Allen, Sr. and out of his great grandfather’s Mitch Allen Gym at the Recreation Center at 57th& Haverford in West Philadelphia. ”My great grandfather taught me everything. I feel my style is old school,” said Allen. When Allen was a senior at Communications Technology High, he won the boy’s 15-16 open division in the 125-pound class at the Ringside World Championships in Kansas City, Mo., for the second year in a row. He was then trained by his 81 year old (now 87?) great-grandfather Mitch Allen. He also won Gold in the 15-16 division at the Junior Golden Gloves Nationals. “Bernard Hopkins, Matthew Saad Muhammad, “Sugar” Ray Leonard and David Reid were my favorite Philly boxers growing up,” said Allen. In 2006 he was at Northern Michigan University for two years along with Jesse Hart with both trained by Philly’s Al Mitchell and that was the last time he saw David Reid. “In Camden, NJ, working with some bad kids it means a lot giving back. I know firsthand being my parents adopted my little cousin whose mother was on drugs and has been boxing since he was 8 and won the Silver Gloves at 9,” said Allen. “My cousin lives in L.A. and is a limo driver who was talking to Mike Tyson about me and had him call me talking boxing. It really propelled me to win my next fight,” said Allen. After a brilliant amateur career the 24 year old lightweight now with Golden Boy Promotions is in his sixth straight fight since fighting in his home city of Philadelphia in his fourth bout in California in his last six fights. “I always found it so befitting that he was signed by Golden Boy Promotions, because he truly is the ‘Golden Boy’ of our city – Philadelphia. Damon “No Smilin” Allen or “Baby Dame” to those who are close to him – is a special fighter, and there’s really no way to describe him. I’ve known Dame for many years, trained alongside him, sparred countless rounds with him and learned so much from him. As a kid he was considered a phenom, but now as a man he has really taken his game to a whole another level, and a world title will soon be in his possession. Damon Allen is a great fighter, anyone who witnesses him fight can attest to that. However, his friends and family know that he’s a great person also, and I can attest to that,” said Naim Nelson (former PA lightweight champion). Allen’s otherwise unblemished record was held to a draw in October of 2016 against veteran Luis Areceo, 28-15-4. In viewing this bout on www.youtube.com it was a close fight and I though 5-3 Allen. His career started back in April of 2013. Allen turned professional in April of 2013 stopping Joseph Ahaamid at Harrah’s Philadelphia, in Chester, PA. He would follow up with a pair of decision wins at the Valley Forge Casino, in Valley Forge, PA. In September he defeated Tony Walker, 5-2-1, at Bally’s in Atlantic City. In 2014 Allen won a pair of fights at the PA Metal Sheet Workers Hall in Philadelphia. Then a contract dispute caused him not to fight for fifteen months returning to the ring in 2015 with a pair of wins in Philadelphia and his debut in L.A. In 2016 Allen defeated Daniel Perales, 9-4-1, in DC and Daniel Montoya, 10-3, in Hollywood. In October came his draw with Arceo in L.A. In 2017 he stopped Adam Mate, 24-10, at the Turning Stone Resort in Verona, NY. 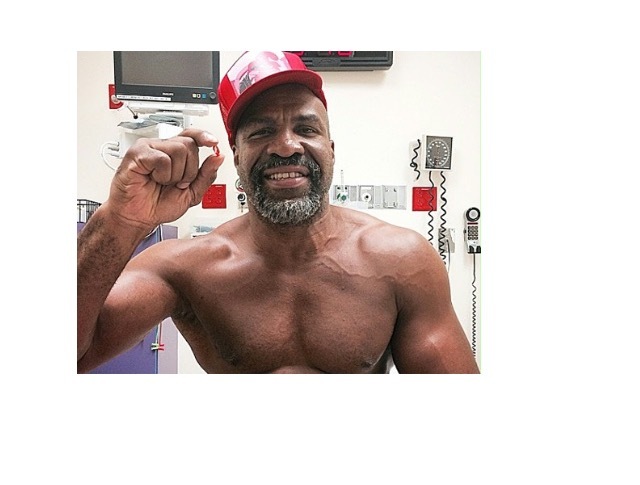 What’s Next for Shannon Briggs? Having suffered a number of setbacks in his career of late, Shannon ‘The Cannon’ Briggs will be certainly looking to put that all behind him as he aims to return to the ring next year. Reflecting on a year of bad luck, the American will be rather disappointed at his inactivity in the ring as he was overlooked on numerous occasions due to a number of reasons. 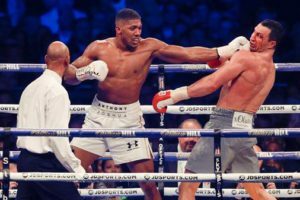 Looking for an opponent initially saw the 45-year-old focus his efforts on securing a bout with Heavyweight rival, David Haye which eventually came to no avail. Chasing the fight saw ‘The Cannon’ go around the country gate-crashing press conferences and media events to call out the Londoner but his efforts eventually turned futile. At times the prospect of thefight being made actually looked promising with Briggs featuring on the undercard of Haye’s fight, but it turned out that was the closest the American was going to get to Haye as he overlooked the American and weeks later announced his next fight against Tony Bellew in 2017. If his luck couldn’t get any worse, his hopes of attaining a heavyweight title this year weredashed after his opposed fight with Australian, Lucas Browne was cancelled after his opponent was found to have had taken banned substance, Ostarine leaving the former world champion looking at the coming year for a change of luck.With the Heavyweight scene currently thriving there won’t be a shortage of options. 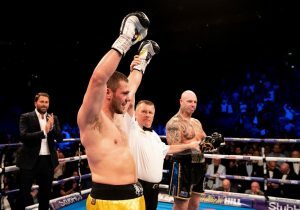 One potential opponent in the new year could be the ‘Body Snatcher’ who will be looking to take as much time off from the ring as possible given his superb performance against Derick Chisora in a fight being touted as fight of the year. The possibilities of seeing Briggs and Whyte share the ring next year are unlikely with Eddie Hearn hoping for a rematch instead between Whyte and Chisorainstead. A more realistic possibility could see the ‘Cannon’ take on fellow compatriot and friend, Luis Ortiz who recently overcame a brave Dave Allen in Manchester; stopping him in the 7th round. A fight between the pair would make sense for both parties but time will tell. A fighter who’s known for his willingness to share the ring with anybody, the ‘White Rhino’would be a great option as a step up of opposition for Briggs who will be looking to ease his way back in the heavyweight scene. Looking to resurrect his career is Liverpudlian, David Price. The fighter will be looking to make everyone forget about his 3 defeats to Tony Thompson and ErkanTepen which came as a big shock to the boxing world as at the time Price was touted for special things in the division. Time is on his side to establish his career again but another slip up cannot be afforded. A logical fight for both parties, Briggs would provide a stern test for the scouser who is aiming for a shot at World Champion, Anthony Joshuain the near future.